Shares of auto parts supplier Adient (NYSE: ADNT) continued on a hot streak on Monday, jumping more than 10% after the company provided preliminary fiscal second-quarter results and announced a secured note offering designed to refinance some of its existing debt load. 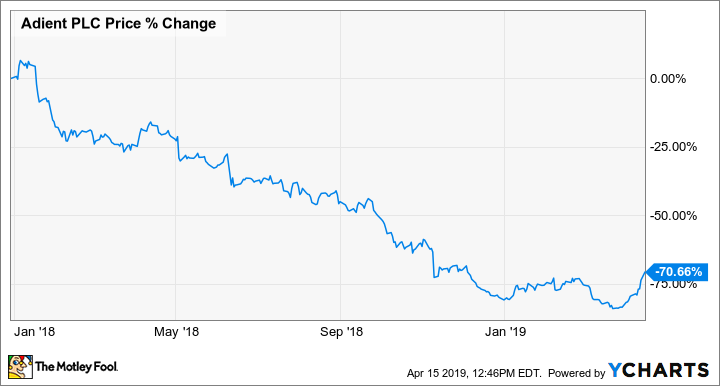 Adient, a seating specialist that was spun out of Johnson Controls in 2016, lost about one-third of its value in March on growing concern that the automotive market had peaked. The company was viewed as particularly vulnerable to a slowdown given its $3.41 billion in total debt and its razor-thin margins. 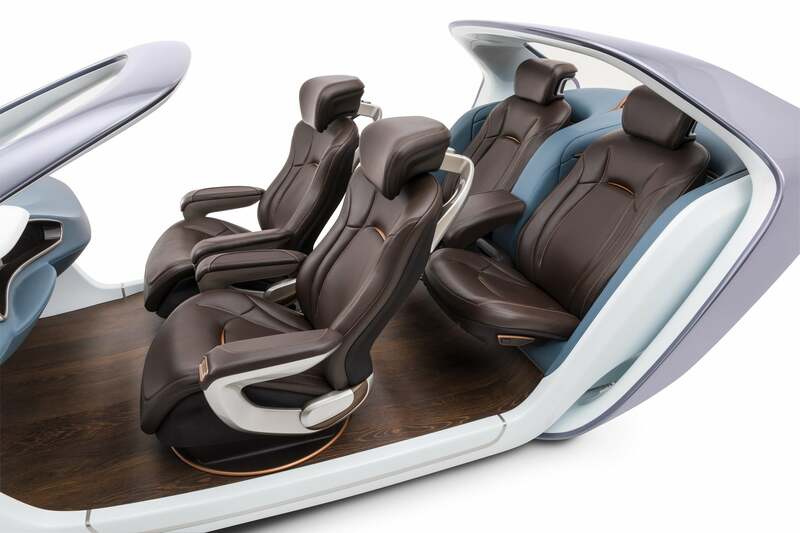 Adient’s interior seating design. Image source: Adient. April, however, has been a different story. Adient shares are up more than 60% through half of the month thanks to a series of analyst upgrades. The most recent one came on Friday from Bank of America Merrill Lynch analyst John Murphy, who upped the shares to buy from neutral in part because he believed Adient would soon be able to refinance its debt, alleviating any liquidity concerns and allowing CEO Douglas DelGrosso, who joined the company in October, to execute a turnaround plan. Adient on Monday announced it would offer $750 million in secured notes due 2026, with the proceeds from the offering along with other borrowings to be used to prepay and terminate its existing credit facility. The company also said it expects to generate about $4.1 billion in revenue in its fiscal second quarter, down from $4.6 billion in the same quarter a year prior and just shy of the $4.23 billion analysts are expecting. Free cash flow is also expected to turn positive compared to the same quarter last year, thanks to a reduction in aged receivables, lower capital expenditures, and benefits associated with quarter-close timing differences. DelGrosso said that the preliminary results “demonstrate that the actions taken to improve the company’s operational and financial performance are taking hold.” Adient is expected to announce full details of its quarter on May 7. Even with these recent gains, Adient shares are down 70% since the beginning of 2018. Most of the company’s longer-term issues have been operational, and not structural, as the previous management team struggled through the launch of a new product line that led to higher labor and freight expenses. Given time, the bulls hope DelGrosso can restructure Adient and improve on its past operational difficulties. If he can, there appears room for significant further upside: Adient trades at just 0.124 times sales, well below the 0.489 times multiple of Lear, another seating specialist. Monday’s gains are an indication that the market believes the latest moves are a step in the right direction for Adient. David and Tom just revealed what they believe are the ten best stocks for investors to buy right now… and Adient wasn’t one of them! That’s right — they think these 10 stocks are even better buys. Lou Whiteman has no position in any of the stocks mentioned. The Motley Fool recommends Adient. The Motley Fool has a disclosure policy.